How Does Carpet Get Laid? Getting new carpet laid in your home is a big event. It can change the whole look of your home, as well as adding warmth and comfort. Once you’ve gone through the process of choosing what kind of carpet to have, and who to install it, the process of laying it starts. For today’s article, Really Cheap Carpet Cleaning Brisbane decided to lay (see what we did there?!) the steps taken when carpet gets laid in your home. The first step is to make sure the rooms to get carpet in are completely empty. 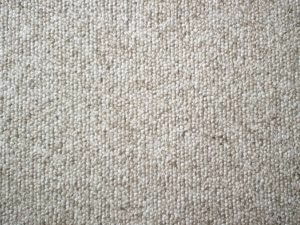 If there is existing carpet, the installer will pull it and the old underlay up, and dispose of it. If this has already occurred at a previous time, make sure the exposed floor is clean and dry. This is very important because you don’t want underlay soaking up moisture and going mouldy from the start. The second step is the underpay for the carpet gets put down. This is like a padding between the floor and the carpet to make it softer and act as a noise dampener, especially if it is a two-storey house. The third step is the carpet being laid over the underlay. The carpet would have been pre-cut into sections to compensate for doorways and different lengths. The installer will lay down little spikes around the room for the carpet to grab on to. Then the underlay will go down in sections. The sections of carpet will be laid down, trimmed to size and sections glued in place. a large tool called a kicker is used to firmly attach it to the spikes. Finally, a carpet stretcher is used to smooth it all out and keep it taut. That’s it! You now have a beautiful new floor to enjoy! If you’ve gone to all the effort to have new carpets put down, you’ll want to make sure that it’s kept in good condition. We are available to contact anytime to help out with maintenance! https://www.reallycheapcarpetcleaning.com.au/wp-content/uploads/2017/05/Carpet_pattern.jpeg 1485 1981 pippa https://www.reallycheapcarpetcleaning.com.au/wp-content/uploads/2017/05/Logo.png pippa2018-01-29 01:26:262018-01-29 01:27:35How Does Carpet Get Laid? Happy Australia Day! Is Dampness and Mould Making You Ill?